And so we come to The Assassination of Julius Caesar, an album stripped of most if not all of the remaining rock elements and built entirely around electronica. The negative reactions have been thick and fast, not least for the fact that Ulver now resemble Depeche Mode more than anything. Yet those who have followed Ulver through their pilgrimage of constant self-reinvention will recognise that this is by no means some synth-pop sell-out, as catchy as it can be. The album’s opener Nemoralia begins with a worryingly infectious set of beats, and although Kristoffer Rygg is actually singing about Christian martyrs under Roman rule, he’s clearly using his vocals in a fashion that wouldn’t sound out of place on an 80s compilation. Yet even pop Ulver has depth, and the extended instrumental sections here are very much in fitting with the band’s recent output, even before the lyrics weirdly shift to Princess Diana’s “sexual drive”. Thanks mainly to the vocals, it’s a grandiose, beautiful song that sticks in the head far easier than most Ulver output in the last decade or so, and a great opener for an album more complex than it may initially seem. Nothing else on the album is this close to pop, although moments come close. The nine-minute Rolling Stone gently builds to a twisted disco march with lyrics referencing dead Caesars and babes in woods stolen by wolves, rhythmic and infectious without losing its intensity or dark atmosphere, and ending in an extended instrumental exploration (with guest saxophone from Hawkwind’s Nik Turner) that’s more prog rock than synth-pop. So Falls the World is a mournful paean to fallen legends and failed houses that wouldn’t have sounded out of place on 2007’s beautiful Shadows of the Sun, turning in on itself with a layered industrial outro. Not all are perfect; Southern Gothic and 1969 particularly seeming a little shorter and less impactful compared to other songs. Yet it’s hard not to be moved by Rygg’s voice, and it’s at its best on Angelus Novus and Transverberation, raised in almost religious invocation whether backed by the noisy ambience of the former or the shimmering soundscape of the latter. Perhaps most interesting is the darkest track on the album, finale Coming Home, with largely spoken vocals exploring regrets before another lengthy experimental outro section; it’s the least beautiful and invigorating performance heard from Rygg in a long time but perhaps one of the most interesting for that, and the music itself is terrific, dark and gripping without at all feeling like the synth-pop of the opening track. If Ulver lacked such a talented frontman then it’s not difficult to see them having far fewer fans, willing to put up with a lot less experimentation. Bands like this are far more frustrating than the Motörheads and Amon Amarths of the world, who have a sound and stick to it – yet as time passes it’s easier to see that the rewards can be far greater, even as the disappointments mount up. 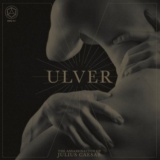 The Assassination of Julius Caesar isn’t a disappointment unless you’re still, vainly and in vain, hoping that Ulver will return to the genre that birthed them, treating each new album as a fresh betrayal. (I’m not entirely innocent of this, I realised after calling Rygg ‘Garm’ in the first draft of this review, a name he hasn’t used in decades!) Ulver’s music is recognisable as their own even as each new experiment is released, and this is the best collection of songs that they’ve produced since Wars of the Roses at least. Does it really need saying that this isn’t for every reader of a site called Metal Reviews, nearly twenty years after the band’s last metal album? Those with an ear for the experimental (and, of course, who don’t hiss at the mention of Depeche Mode) will find much to like here; I could just as easily have raised the score and it might make my end-of-year list. Hear and buy the album at Ulver’s Bandcamp.